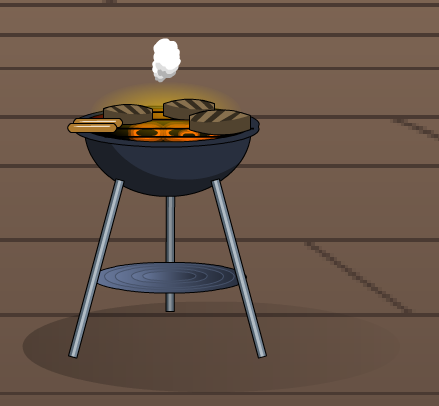 Description: Hot dogs and hamburgers roasting on an open fire. Not very healthy but delicious! Note: Also see BBQ and Table.